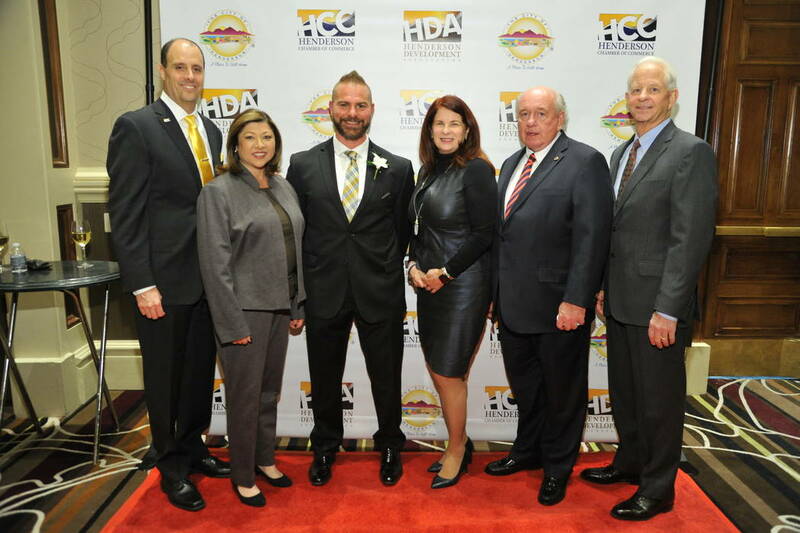 The city of Henderson announced award winners in Economic Development at Henderson’s 19th annual Economic Development Small Business Awards on Nov. 15 at Green Valley Ranch Resort Spa Casino. 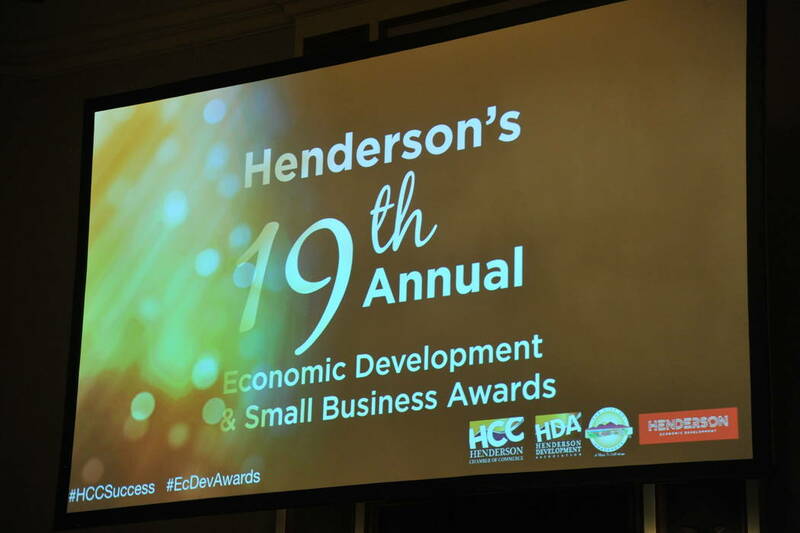 The city of Henderson announced award winners in Economic Development at Henderson’s 19th annual Economic Development & Small Business Awards on Nov. 15 at Green Valley Ranch Resort Spa & Casino. 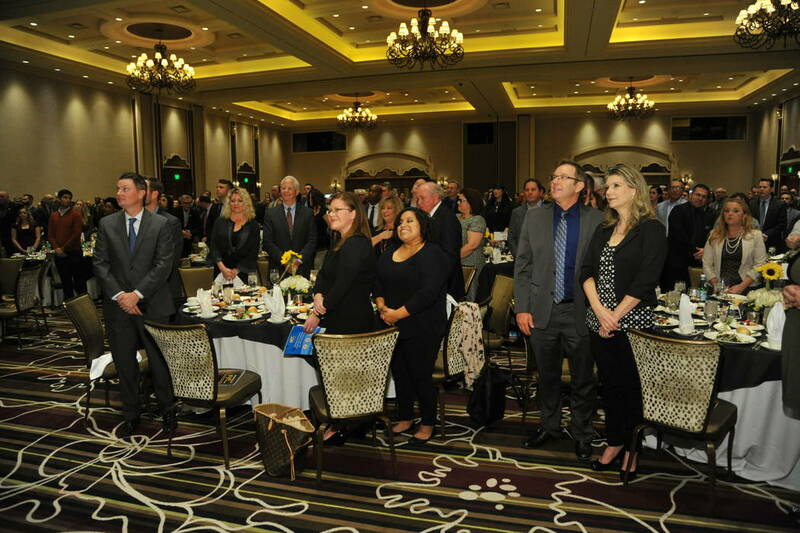 The Economic Development awards recognize projects and people that have made a significant impact on job creation and overall economic impact to the city of Henderson. • Economic Development Project of the Year: Juliet Cos. The Economic Development Project of the Year was awarded to Juliet Cos. for demonstrating job creation, capital investment and a positive economic impact on the city through development of the Henderson Interchange Center. The class A manufacturing and distribution center features 327,000 square feet and supports more than 250 jobs on site. Juliet Cos. attracted prominent companies such as Progress Rail, High Impact Sign and Design, Next Century Rebar and Alpha Guardian. 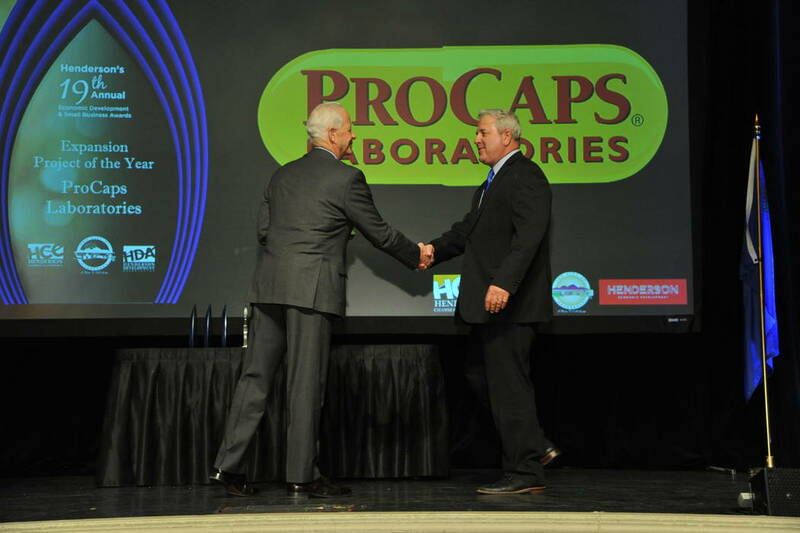 The Expansion Project of the Year award went to ProCaps Laboratories for creating 35 new jobs with the development of its third building at the Warm Springs Road location adding more than 114,000 square feet. The facility is solar powered and carbon neutral. 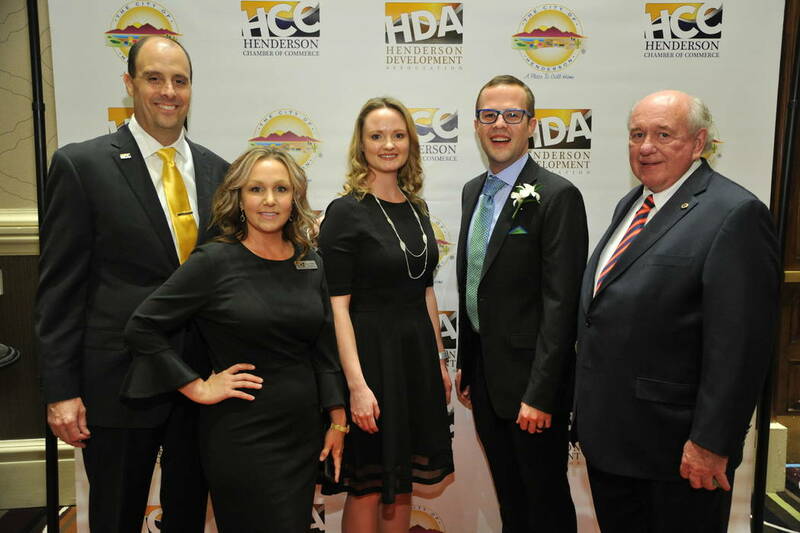 The Redevelopment Project of the Year award went to Clark County Credit Union for completing a significant new construction project this year with the opening of its Henderson branch in downtown Henderson on Lake Mead Parkway. The new facility provides a home for the branch credit union and offers additional office space for lease. 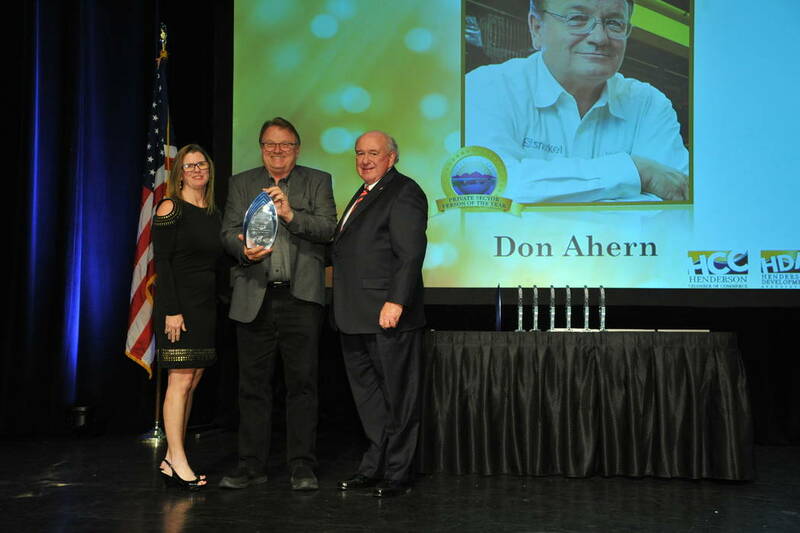 The Private Sector Person of the Year Award went to Don Ahern, owner of Ahern Rentals, for his outstanding contributions to the city of Henderson and its economic development mission. Ahern’s commitment to innovative engineering research and development led to the launch of Xtreme Manufacturing in 2015 with the opening of the Henderson campus consisting of more than 330,000 square feet on Eastgate Road. Xtreme Manufacturing employs more than 150 people with plans for an additional 135 new jobs in the next 24 months. Ahern gives back to many local charities throughout the valley. The O’Callaghan Public Sector Person of the Year Award went to Chris Wallach, NIAS, for demonstrating a gold standard of excellence in public service for his contributions to the city of Henderson and its economic development mission this past year. In a partnership created with the Henderson Economic Development Office and Nevada State College, the Henderson Unmanned Vehicle Range debuted in January 2017 and has since hosted more than 700 people on the site engaged in demonstrations, trainings and flight tests. This award is a tribute to Mike O’Callaghan, former governor, and his wife, Carolyn. For more information visit HendersonNow.com.